After thinking about it for a few years (more than five) I finally got my act together and purchased a new sewing machine last week. I’m quite a crafty soul but like functional things and so having a machine will mean I’m back in the game in terms of making things! The lovely Mike Brooks talked me through my options but I settled on his recommendation – the Elna Explore 340. Elna machines are made by the Janome people (I didn’t know either) and are notorious for their reliability. Mike very kindly took me through everything my new machine will do which I promptly forgot and resorted to the handbook when I got home! I was really excited about what to make, I have 15 metres of fabric just waiting to be turned in to some fabulous curtains. The Celebrity Children in Need Great British Sewing Bee filled me with ideas (worth a watch if you’re keen on sewing). But I thought I needed to break myself back in with something familiar. 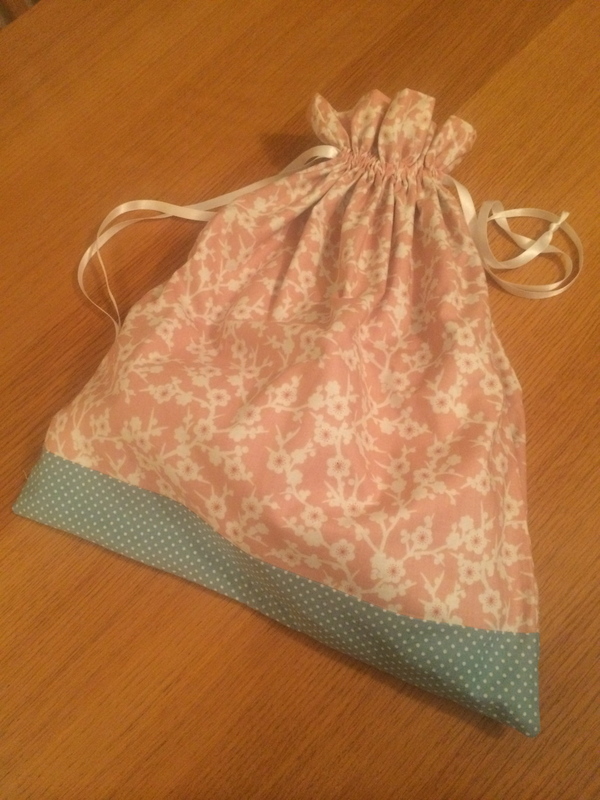 So I made a lined drawstring bag to use to carry my hairdryer and straightners when I travel. I made a smaller version earlier this year at a hen do and felt comfortable with the process, I just upped the size a bit. And here’s the finished article. It fits everything in and is pretty neat (if I do say so myself!). I’m really pleased and can’t wait to sew my next project. If you fancy a go yourself then try this tutorial, I added a contrast trim on the bottom to match the lining of my bag. 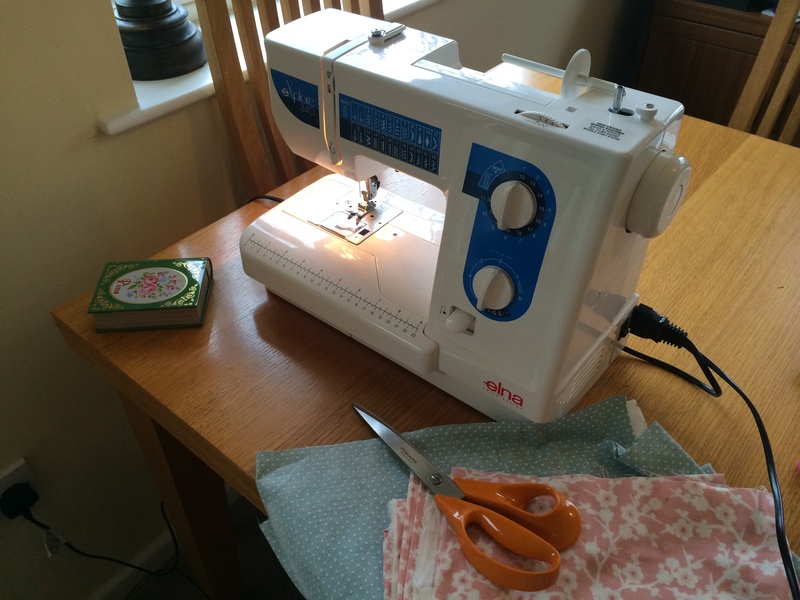 And if you’re like me and have put off getting a machine then please do it, I promise you’ll fall in love with sewing all over again!